Take my money already! 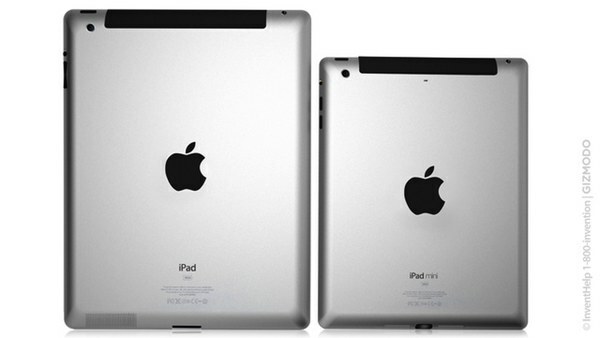 Last week’s seemingly solid iPad mini release date rumors have faded away. Whereas spec and design information about the 7-inch Apple tablet has coalesced nicely, launch day continues to be a moving target. Ready for the latest rumor? Step inside for a closer look. Previously, Tapscape and a whole crowd of other folks reported that the iPad mini launch event would happen on October 17. Specifically, that rumor spawned by an unnamed Apple investor indicated invitations for the event would arrive in journalists’ hands on October 10 — obviously, that didn’t happen. Now, citing unnamed sources, All Things D is saying that the iPad mini release will in fact fall on Tuesday, October 23. Yes, there have been reports of manufacturing delays, but all of this is just so much speculation. However, Jim Dalrymple (a.k.a. The Beard) has confirmed the validity of the October 23rd iPad mini release date with a hearty and verbose, yep. That said, though nothing’s real until Apple says so, it is believed that the iPad mini will be wi-fi only and internally closely mirror the iPad 2’s specs, or not. Interestingly, the All Things D write up leaves open the question of where the event will be held — Apple usually introduces new products in their Town Hall Auditorium at their 1 Infinite Loop campus in Cupertino, CA.